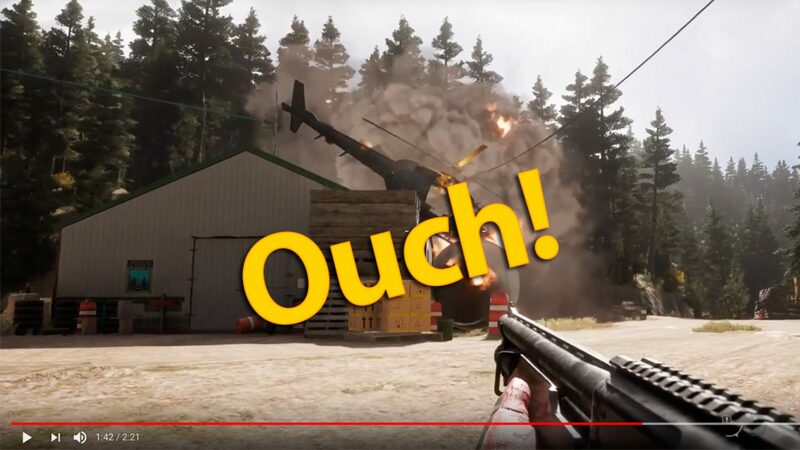 Far Cry games do one thing very well, and that’s provide some pretty hilarious and epic moments through the duration of a playthrough. Far Cry 4 actually gave me so many little gems that I uploaded a few back in the day just to show some friends, there are still available to view in the old post here if you wanna see them! Now this video isn’t that long and crazy, because I’m building up a library of moments as I’ve been playing and will possibly look to get more of them up, and but for now I present to you some of the funny or daft moments from the game so far. I’m really sad that I missed the recording (I screwed up with the share button believe it or not) and didn’t catch a moment where I shot a truck driver dead on a bridge, which then caused a van behind him to panic and try drive around… only to drive himself off the bridge Inception style, land upside down on a rock in the river… survive, climb out of the van and then instantly drown. I don’t think I’m gonna see that again. Anyways, enjoy the short vid! If you have any of your own please do share links to your YouTube videos or Twitter vids (whatever really) in the comments.